First, we would like to take this opportunity to thank you again for visiting our online store and pre-ordering our products! 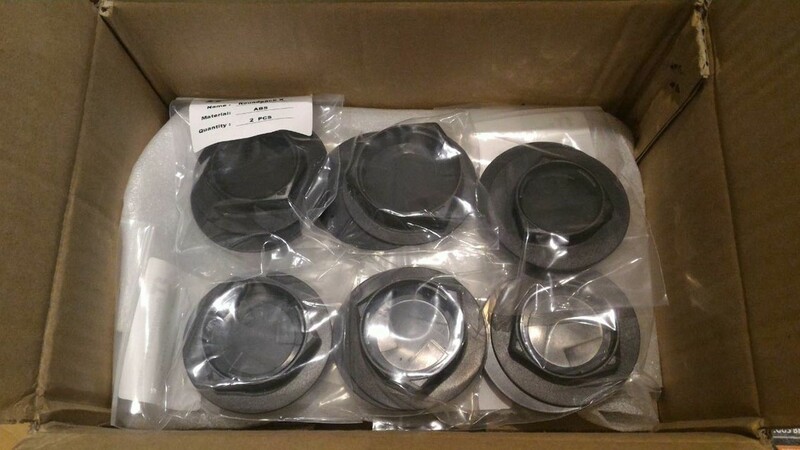 In our previous update, we mentioned that the production process for the LensRacks lens holders had begun. 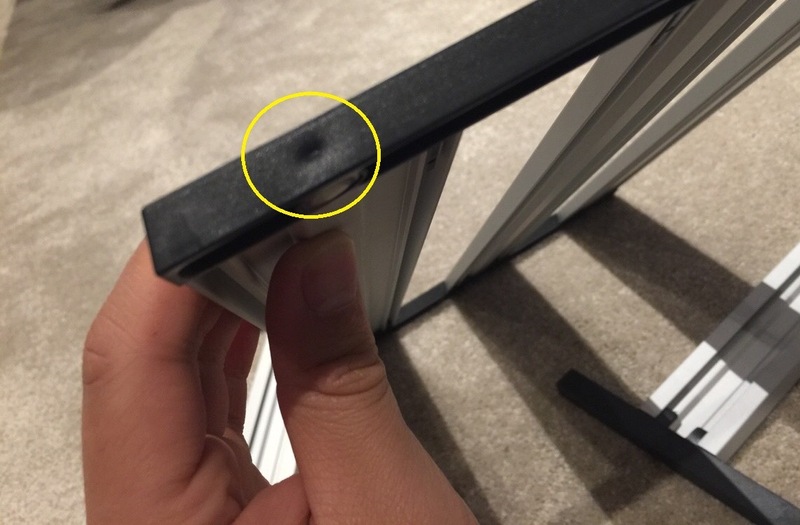 We also confirmed that the aluminum rails were delivered to our site. Since that update, we had also began the first production run of the remaining plastic parts, which includes the SD card holders, the flash holders, the rail stands, and the camera mounts. We are now at a point where all of these parts are well within our specs. However, there have been some minor cosmetic issues with the rail stands. These issues have been communicated with our supplier and we are waiting for the latest production samples to arrive. Below is an image showing some of these blemishes. 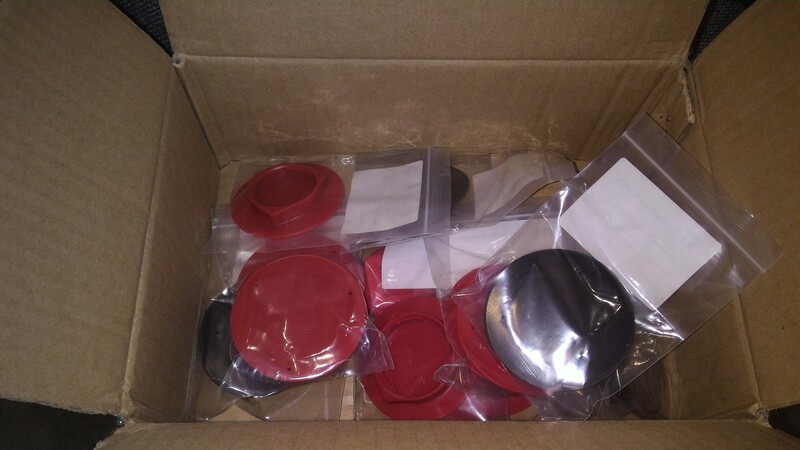 For LensPacks, the molds were completed and we received the first batch of production samples. These samples look brilliant and the quality is on point. However, of the 6 different LensPacks (for the different lens systems), 4 of them require some minor modifications as the lens fitment of them are either slightly too loose or tight. We are talking about 0.1 to 0.2mm difference here, which may not sound like very much. While these samples still work, this small difference actually makes a huge difference in feel when you twist the lenses in and out of the LensPacks. Below are some images of the LensPacks samples we received. These changes for LensPacks have already been communicated to the manufacturer and we hope that the next batch of samples will be perfect. We expect to get the next batch of samples in the next couple weeks. As far as timeline goes, we originally aimed to ship LensPacks out in December. That might be a bit tight as we need to go through another iteration of changes before going full production. The production time will take around 20 days. We are currently pushed back a couple weeks into January. As you know, both LensRacks and LensPacks came to life thanks to a highly successful Kickstarter campaign. We are happy to see that the momentum has now been carried through to our LensRacks Store! Without support from our Kickstarter backers and you, LensRacks and LensPacks would not have been possible. Thank you!